Family Law Aberdeen is operated on behalf of Balfour+Manson LLP, a leading Scottish law firm established in 1888. Kirsten heads up the Aberdeen family law team. 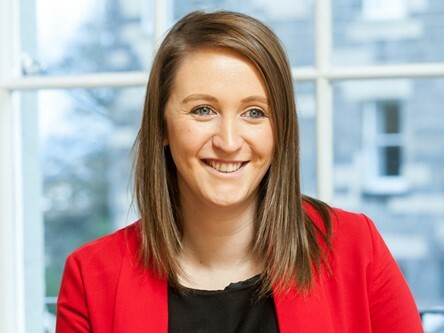 She has specialised in family law since she qualified as a solicitor in 2009. She has a depth and breadth of experience in many areas of family law, such as divorce, cohabitation, adoption, child contact, pre-nuptial agreements and more. Kirsten also has a role on the Aberdeen Children’s’ Panel as Panel Practice Advisor and so has knowledge of children’s hearing work from her exposure to this. Kirsten is a trained collaborative lawyer and mediator. What Kirsten's clients have to say. . .
We have a team of 10 solicitors in our Family Law team spread across our Aberdeen and Edinburgh offices. Amongst the team there are 3 mediators, 4 collaborative lawyers and 2 trained arbitrators. We also have specialist private client and property solicitors within the team who advise on wills, executries, trust and property work to ensure we can offer a full range of services to our family law clients. Contact our friendly and trusted team today to find out how we can help you.